San Juan del Sur, Nicaragua — Today, like every day, begins with a smoothie: a blend of pineapple, melon, banana, passion fruit, papaya, yogurt, nuts and pitaya, a Central American delicacy responsible for the bright magenta coloring of the drink in Bob Schmidt’s hand. "One of these will fill you up and keep you going through lunch," Mr. Schmidt, 63, said while setting aside a creased paperback and gazing out from his second story to a view of the Pacific Ocean. Surfers flitted along the surface of a neatly groomed groundswell 50 yards below his tiled-floor home, which might pass for a beachfront palace in Malibu but for the wooden plaque on the wall reading “Bienvenidos a mi hogar” (“Welcome to my home”) and the sporadic power outages typical of rural developing countries. 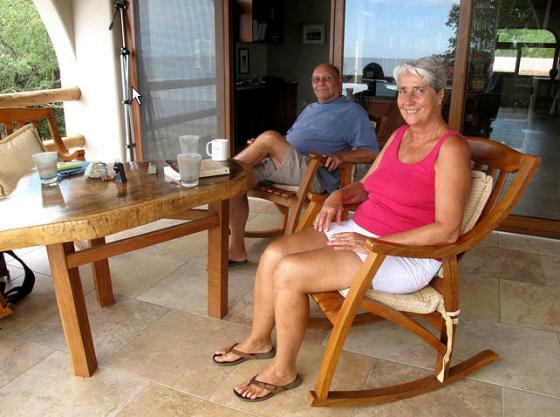 Mr. Schmidt and his wife, Sheri, 62, are among the estimated 3,000 foreign property owners in this country, which, starting in the early part of this decade, followed Costa Rica’s lead as an affordable paradise for second- and retirement-home owners. 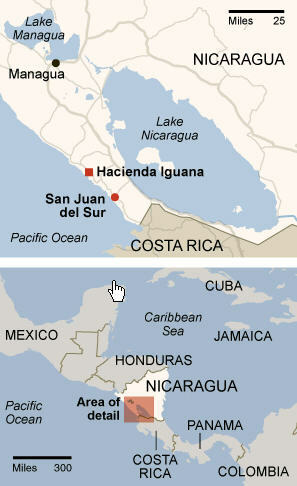 When the Schmidts bought their property here in 2005, paying $200,000 for an oceanfront lot and spending about $80 per square foot in construction costs, the Sandinista leader Daniel Ortega had not yet reclaimed the presidency, and Nicaraguan real estate was booming; asking prices were selling prices. Much has changed since then. The global economy has tanked. Mr. Ortega has not only regained power, but also won a disputed ruling by the Nicaraguan Supreme Court in November that could enable him potentially to extend his reign; that and a series of unconvincing municipal elections have catapulted Nicaragua, Latin America’s poorest country (the per capita gross domestic product was $1,123 in 2008, according to the United States State Department), back into the periphery of international concern. Mr. Schmidt takes another drink of his fruit shake. The tropical flavors, and the atmospheric intangibles of a Sunday morning on the white sands of Hacienda Iguana, one of Nicaragua’s fastest-growing southern beach communities, help to make the world’s worries seem very far away. "Once I saw this place and this beach, that just was it,” said Mr. Schmidt, who is originally from Southern California but worked as a livestock farmer with his wife outside St. Paul for 36 years. 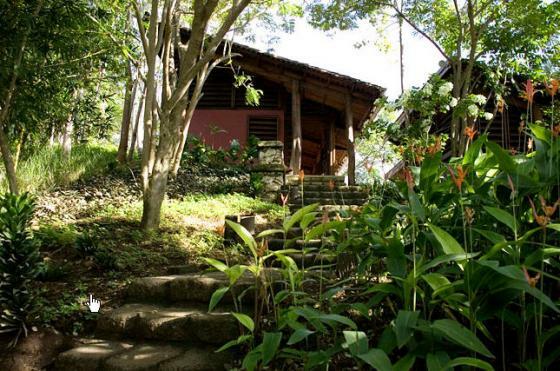 The couple first bought a second home on the beach at Playa Hermosa, Costa Rica, in 2002 for $150,000, calling the impulse buy “a total fluke,” and migrated to Nicaragua after his wife’s retirement in 2006. Some might see an element of financial risk in the Schmidts’ purchase of the sort of property that one segment of buyers view as an investment, but Mr. Schmidt said that he and his wife were not driven by the profit motive. "We came down here really not as an investment per se,” he said. “It was more of a lifestyle change.” Life at Hacienda Iguana, a gated development about 20 miles northwest of San Juan del Sur with 250 home lots and over 70 condos already built, moseys along at a paradisiacal, watch-dissolving pace. Tidal swings and sunsets mark the day’s most important events. “I think our buyers now are end users,” said Zach Lunin, a co-founder of Aurora Beachfront Realty in San Juan del Sur. “The people who are buying with us and investing here are people who want to spend time here. Bottom line is most of the people that we’re seeing are not the flippers. Nicaragua is a heart buy for most people, not that it doesn’t make sense on paper. But people come here and they fall in love with the country, and that’s why they buy property." Considering that Nicaragua scored an underwhelming 2.5 out of a possible 10 for honesty in the Worldwide Corruption Perception Index of 2009 (the United States was at 7.5, Canada at 8.7 and Mexico at 3.3) as tallied by Transparency International, the romance may include a few speed bumps. (“If you drive to Managua, it is very unlikely that you won’t be pulled over,” Mr. Schmidt said of the incessant traffic shakedowns and bribery attempts performed on gringos by police patrolling the roads.) And while Nicaragua’s coming 2011 presidential election is a reminder of the country’s political uncertainty, not all foreigners are so easily deterred. 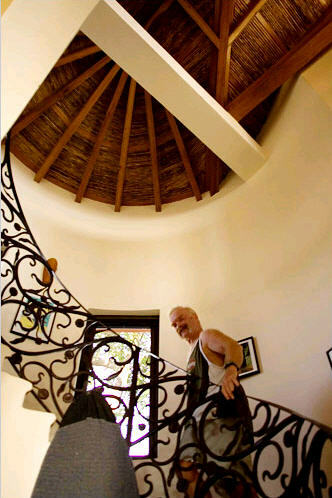 TRANSPLANTS Jack See in his beachfront home at Hacienda Iguana. He and his wife, Patty, are from Idaho. A road within the community. Bob and Sheri Schmidt, retirees from St. Paul, at their home in Hacienda Iguana. 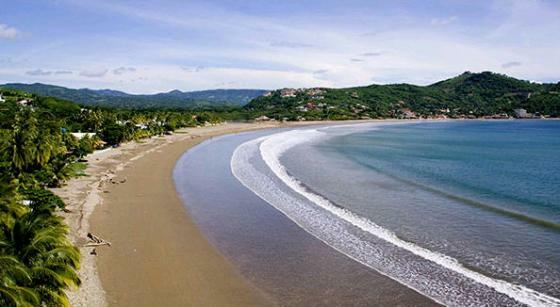 The impression that Nicaragua is inherently unstable has unquestionably slowed development, but it has also made an investment in “the New Costa Rica,” more affordable and appealing to the adventurous segment of aspiring second-home owners. In many cases the numbers support the gamble. In 2008 tourism brought in an estimated $944 million (nearly one-sixth of the G.D.P. ), and it has grown by 8.2 percent in the past year, with almost 24 percent of visitors hailing from the United States. 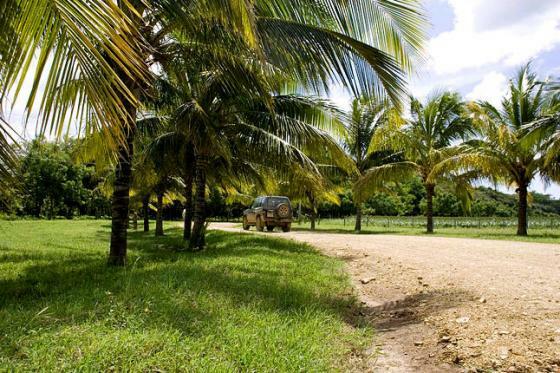 Oceanfront lots in gated, rural communities like Hacienda Iguana are selling for around $250,000, and according to some real estate agents, prices have dropped as much as 40 percent in the last two years. Unlike in many countries, property laws afford foreigners the same land rights as Nicaraguan citizens, and while the Coastal Law of 2009 prevents the purchase of land within 50 meters of the high tide line and oceanfront lots are eligible for purchase only if registered before a 1917 agrarian reform law, land acquisition in Nicaragua is a relatively straightforward process — albeit with a few notable concerns. While there may be fewer potential buyers than at the height of the real estate boom, those still in the hunt say they are realistic about Nicaragua’s political situation. “I don’t think we’ll bury ourselves in research on how stable it is,” said Charles Brooks, an insurance executive from Virginia who is considering the purchase of a lot in a development inland of Hacienda Iguana called Iguana Hills.